CREDIT: Gottscho-Schleisner, Inc., photographer. 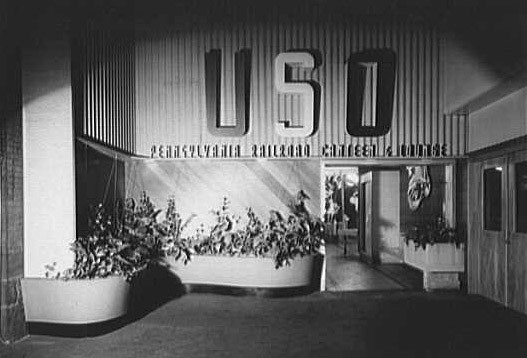 "Harrisburg U.S.O., Penn Station, Harrisburg, Pennsylvania. Entrance View I." September 3, 1943. Architecture and Interior Design for 20th Century America: Photographs by Samuel Gottscho and William Schleisner, 1935-1955, American Memory collections, Library of Congress.